As construction managers, our job is to provide value to our clients by making sure their completed facility meets all project goals as efficiently as possible. For Crown Point, this includes constructing a cost-effective, flexible learning environment; installing energy efficient systems; and completing on time and on budget. It’s especially exciting for us when we get to collaborate with clients to deliver innovative, one-of-a-kind solutions that serve the community. In the last few months, we’ve been an integral part in turning the vision for the Crown Point Community School Corporation’s new Learning Center into a reality. Faced with recent increases in student enrollment, CPCSC needed a way to relieve the capacity pressures in their existing schoolhouses without constructing a new one. The challenge was maintaining a conservative budget when choosing a location and design for the Learning Center. With an innovative mindset, the team’s solution was to locate the Learning Center on current school grounds and develop a highly flexible and forward-thinking design for a multipurpose educational space. These decisions resulted in a smaller footprint than what is typical for a similar school facility, creating savings that could be used by the center’s students and faculty. To enable instructors to separate or combine learning spaces at will, this adaptable facility features mobile room dividers that adjust for accessibility and privacy. The building will also be optimized for energy efficiency and security. Equally as exciting will be the building’s unique ability to serve a wide range of ages and life stages. 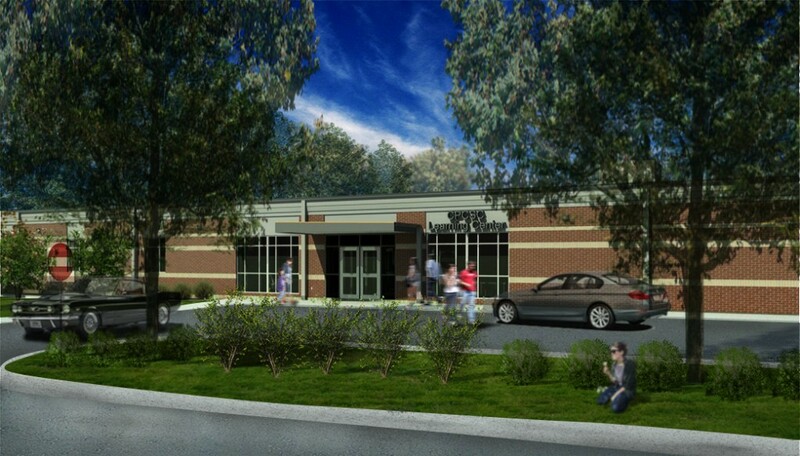 Within the building’s 20,000 square feet, the learning center will host early childhood opportunities for pre-school students, college and career planning for high school students and their parents, and training sessions for school staff—just to name a few of the purposes planned for the space. And although the project itself has a relatively small footprint, Dr. Eineman says it was an obvious decision to bring on a construction manager early in the process. “Funding is limited, and more so each year, so maintaining personnel to facilitate the proper process from idea to completion is unrealistic. A construction manager brings the depth of knowledge and thoroughness needed. For us, it’s worth the investment for Skillman to be hired so we can rest assured the project will come in on time and under budget,” says Dr. Eineman. This particular timeline expects to see the project completed and ready for the beginning of the 2015-2016 school year, which, despite difficult weather, is a timeline Senior Project Manager Dion Katsouros is confident will be achieved. For more information and updates from the Crown Point Community School Corporation, visit their website.